Green Frog(Rana clamitans) tadpoles at different stages of development. Adult green frogs mate in the late spring and summer, from May to August. Their calls sound like someone plucking a banjo. 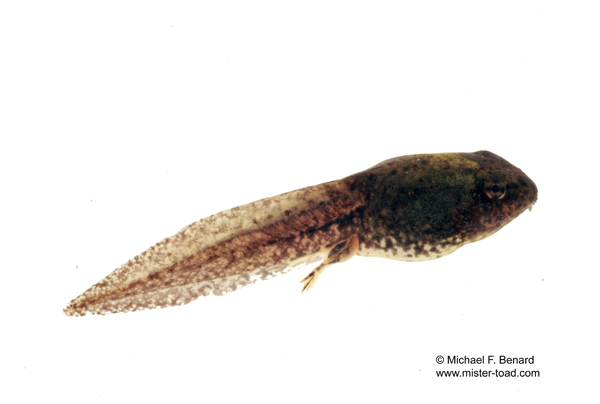 The tadpoles take about a year before they can metamorphose, which means that they have to survive as tadpoles under frozen ponds! Additionally, it means that the ponds must hold water for at least a year for the green frogs to be able to survive. 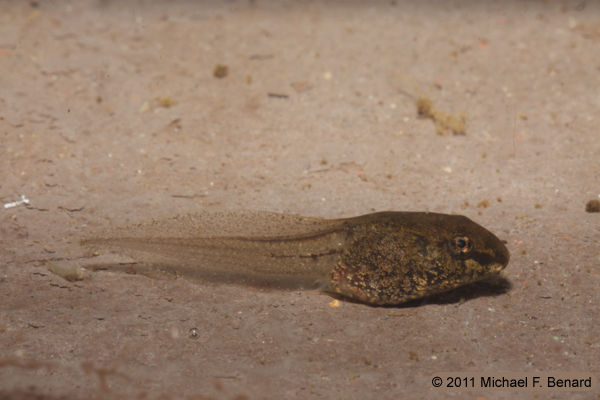 After a year, the lucky tadpoles metamorphose into juvenile green frogs.